The South Park RPG has been renamed as the official Xbox website has revealed. 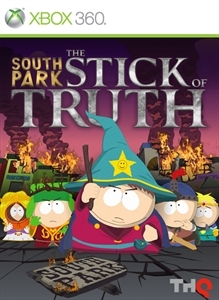 The game is listed on their site as South Park: The Stick of Truth. The site also says the game will feature co-op for two players, both online and local play, which will be a very welcome addition. As well as “content downloads”, which I would assume refers to downloadable content. The game is set to release later this year for the Xbox 360, Playstation 3 and PC.